During the holidays, I find myself indulging in the sweetness of life with a little too many rich treats and inebriating drinks, like my mom’s famous persimmon pudding and my friend’s spiked kombucha cocktails. After the fact, I can’t help but wonder about how my body is managing these indulgences. 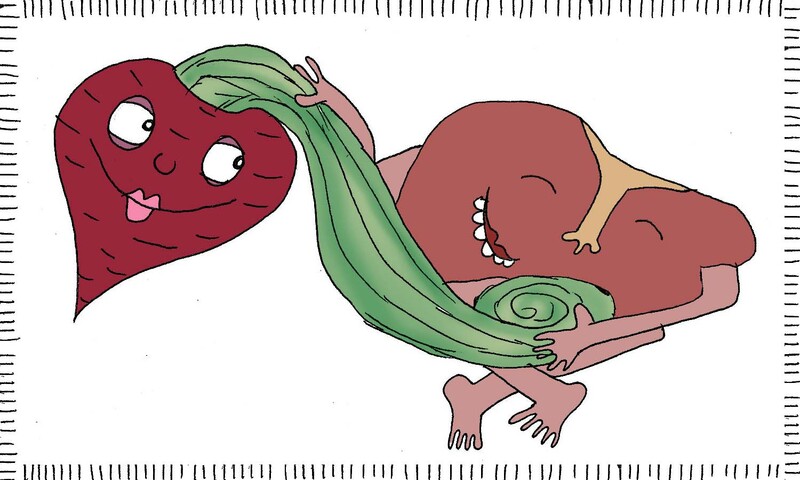 As someone who is passionate about wellness and curious about how our magical bodies function, I set out to learn the best ways to help my organs do their internal clean up work from all my partying. 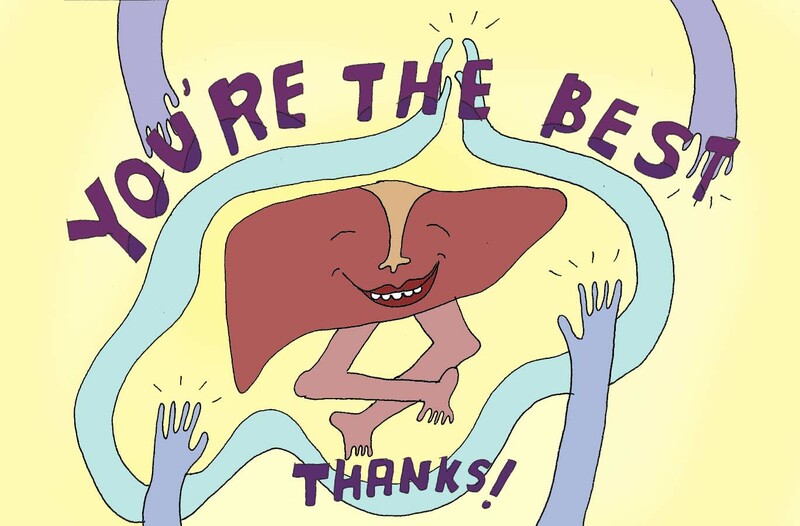 First, I want to express gratitude to my liver, one of the hardest working organs in the body. 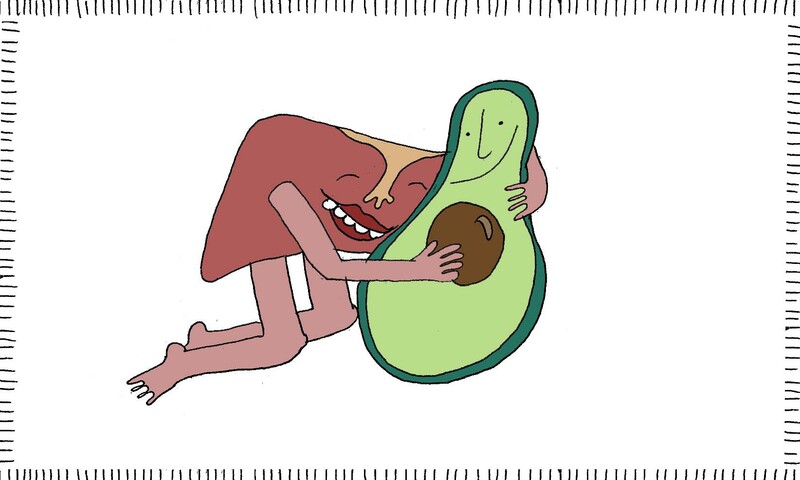 I found out that the liver has three main functions: to help digest nutrients, to make proteins and to get rid of toxins. Everything we eat or drink has to be broken down into different chemicals before it can help (or harm) our bodies. 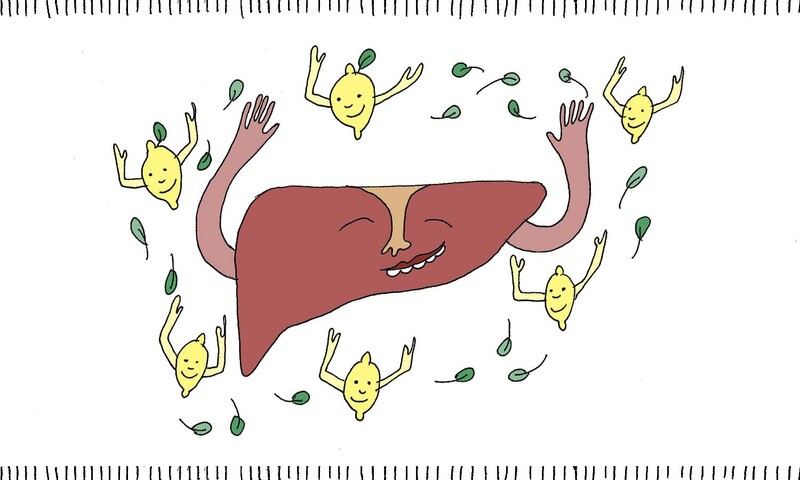 The liver copes with the damaging substances we ingest or imbibe, such as preservatives, pesticides, and antibiotics by packaging them for safe disposal through urine or bile. 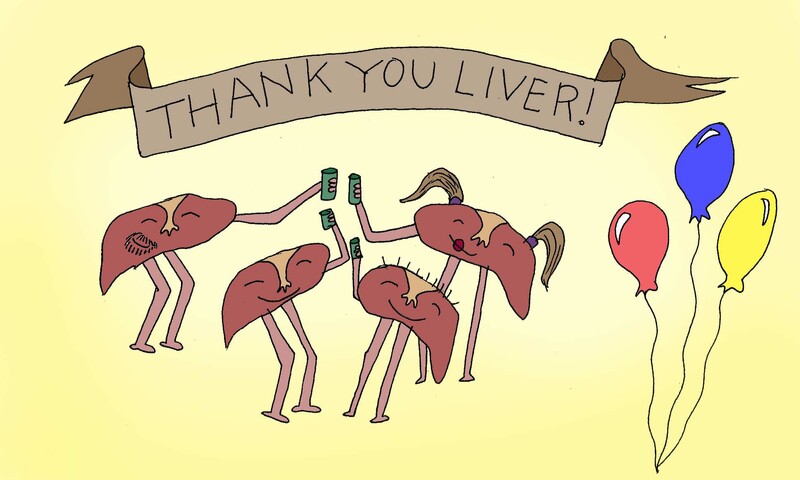 The unfortunate truth is that alcohol and sugar are two of the hardest things for our livers to process, so when indulging, here are some foods that can naturally help our hardworking livers continue to thrive. Beets are high in plant flavonoids, a nutrient group that is known for its antioxidant and anti-inflammatory properties. These antioxidants help eliminate free radicals (or toxins) from our body. The richly red root vegetable is high in pectin, which can help flush out harmful substances that have been removed by the liver instead of allowing them to be reabsorbed by the body. I love beets on my salad, in a comforting bowl of beet borscht or in a juice blend. Lemons are also full of antioxidants as well as vitamin C. They aid your liver in producing enzymes, which can increase energy and help digestion. With lemons’ alkalizing nature they also neutralize toxins, eliminate waste and kick-start the digestive process. 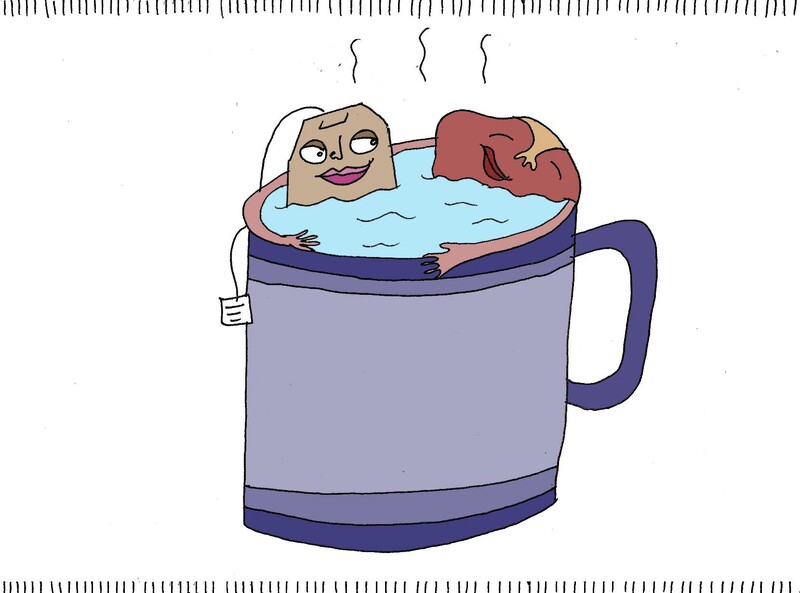 Every morning, I sip on warm water with lemon to help finish off the work my liver has done overnight and get my digestive juices ready for breakfast. Avocados promote our bodies’ production of glutathione, the mother of all antioxidants, which is used for the filtration and detoxification of damaging substances. One of many ways to experience this silky fruit (or vegetable depending on your definition) is in a colorful salad perfect for the holidays. Walnuts are another great source of glutathione as well as omega-3 fatty acids, which helps detoxify the liver of disease-causing ammonia. In fact, walnut hulls are often used in liver-cleansing capsules or tincture formulas because of their ability to oxygenate the blood. I enjoy adding walnuts to homemade granola for breakfast. 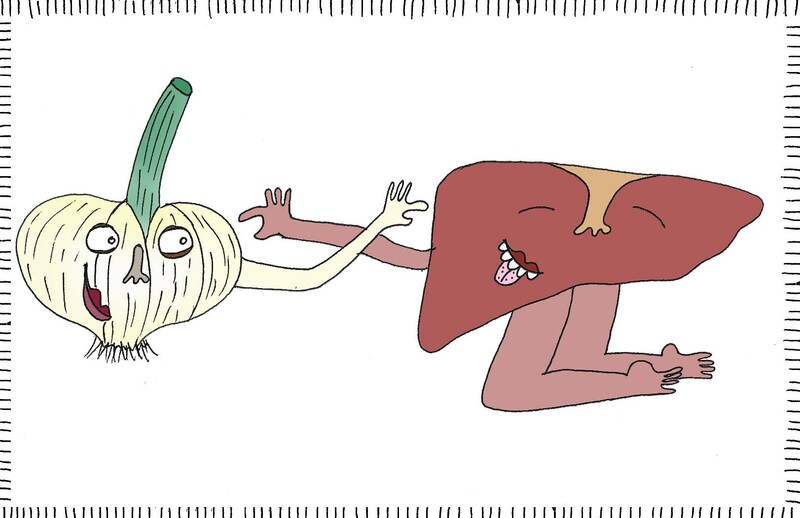 Garlic helps to launch enzymes in the liver to assist in the process of digestion and eliminating toxins. It is full of selenium, a naturally detoxifying mineral and allicin which help fend off immune system enemies. This garlic soup is a perfect warming dish for the colder months. 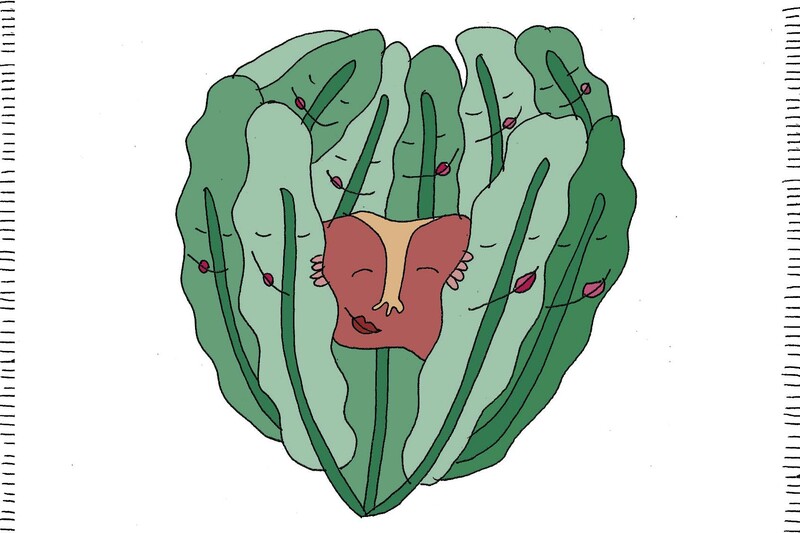 Greens are full of chlorophyll that assists in lightening the load on the liver by purifying the blood. Some of my favorites are kale, chard, arugula and collard greens. These nutrient dense veggies can also help neutralize the metal, chemicals and pesticides that are often in our foods. Leafy greens are a staple in my foodscape and I often sauté them. Here is a great basic recipe to get you started. 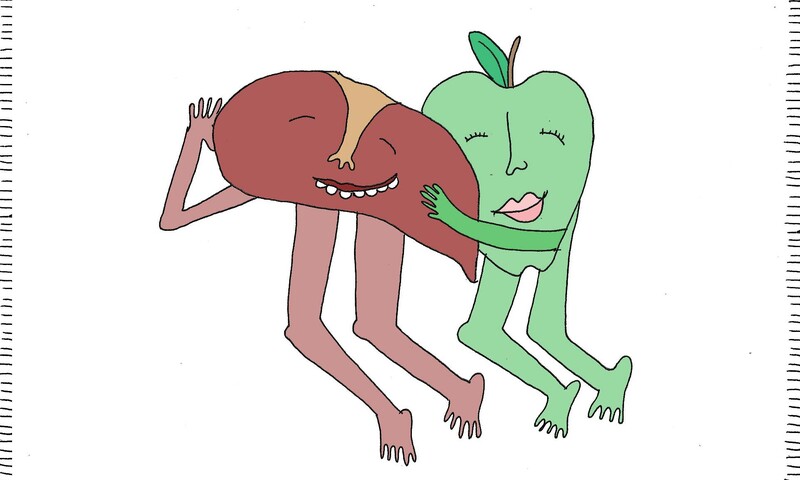 Apples contain a high content of pectin that assists in flushing undesirable toxins from the digestive system. Fruit pectin is also helpful in removing heavy metals, such as mercury and lead from the body. Besides enjoying apples as a crunchy liver boosting snack, you can also try making apple butter to enjoy in yogurt or on toast! You know those yellow flowers that pop up in our gardens and grassy fields? 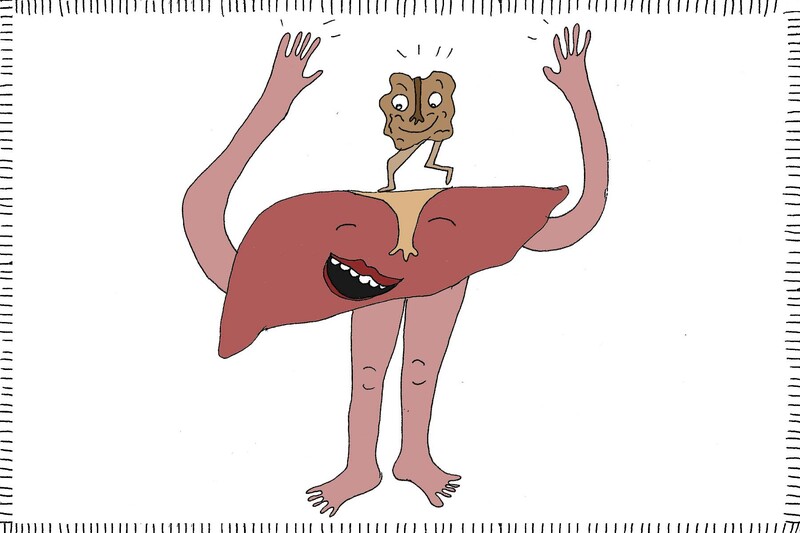 Their roots are a fantastic digestive stimulant and toxin transporter. Dandelion root tea eases congestion in the liver and helps it purifies our blood. I often drink roasted dandelion root tea before a meal or in the morning when I take a break from coffee. I love its satisfying rich, roasty flavor. As I enjoy the outward manifestations of the holiday season with feasts, decorations, gifts and parties, I like to bring my awareness inside and celebrate my body for all of its magical inner workings. 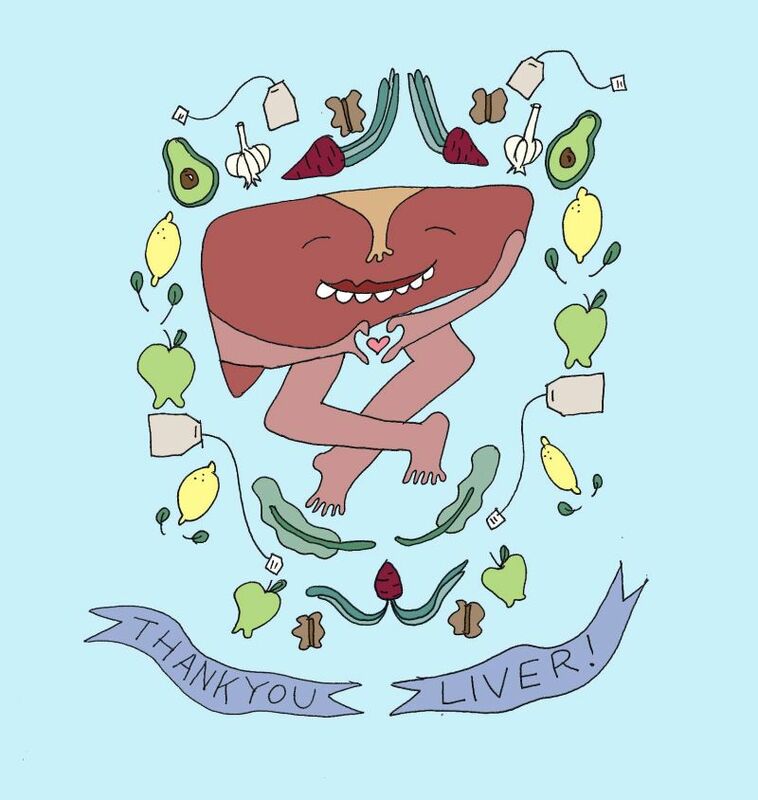 While there is no way for us to “un-do” the glasses of wine or sweet desserts that we’ve consumed, we can send our livers a present by eating some of these liver-friendly foods. 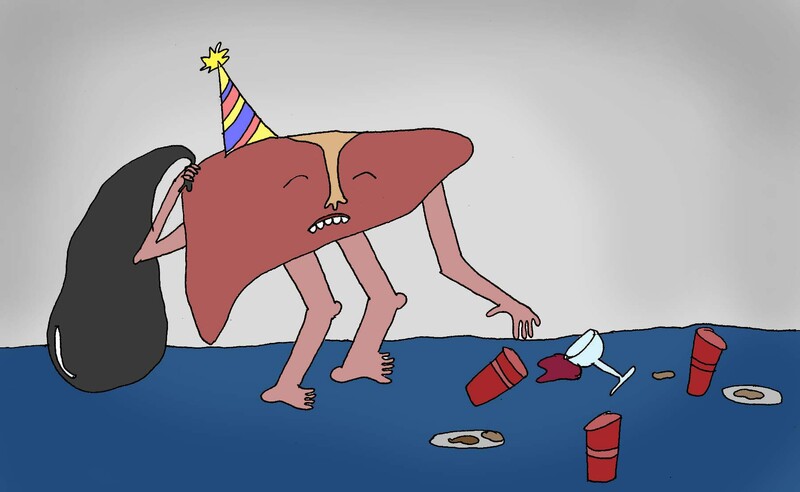 Maybe some months after the holidays, when I am missing the festivities of celebration, I’ll throw my liver a party, and invite all my friends’ livers too and we can dance and drink a crazy juice concoction with all of these antioxidant-rich foods to honor our beloved organ.